Local and out-of-state college campus trips so our students can visualize their goal(s). Free tutoring and summer school to help all of our students succeed academically. Our grades are based on student mastery of learning standards to more accurately gauge college readiness. Our passing mark is 60% mastery. 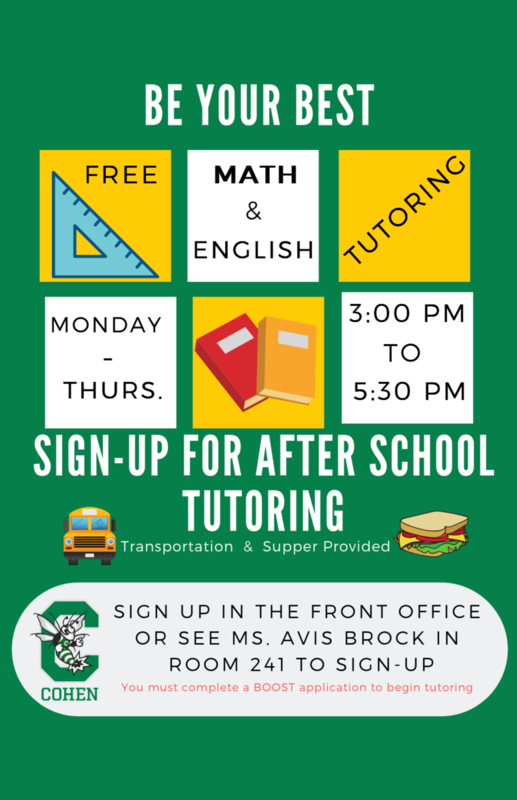 Click here or on the image below to sign-up for after-school tutoring.